This photo is from two years ago, but it does show some of our "supporters" from the walk... 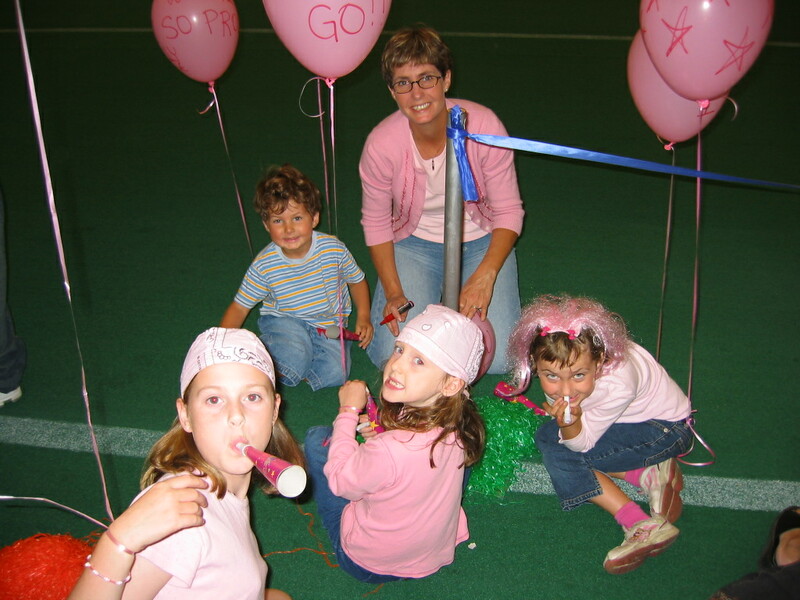 This year, in ADDITION to exceeding their donations for the walk, my sister and brother's families held a garage sale, with proceeds to the Weekend to End Breast Cancer. They sold toys, kids items and pink lemonade and pink cookies and raised $400 to donate. I hope this year's run goes just as well. I hope you are feeling better now. I'm going to cheer again this year. I can't wait - it will be very fun. Hope all is well. Love this blog - helps to keep those of us from out of town in touch. 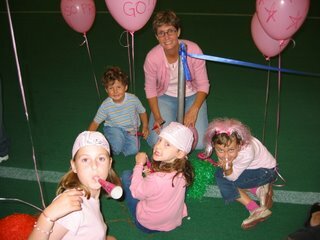 Great pics of the "pink" crew cheering and fundraising. I'll send a copy of the Healthtech team here in Toronto - only 3 weeks to go. So great to catch up with your blog again. Away most of the summer. Thank you so much for the letter and gift certs, they are great. GP is ever growing. The traffic is driving everyone crazy but there is a lot of work here and in my case babies. Hope your move is going well and you are glad to be back in Regina. Congrats to all the walkers out there! Thinking of you all often.